It's amazing what a little pesto can do. 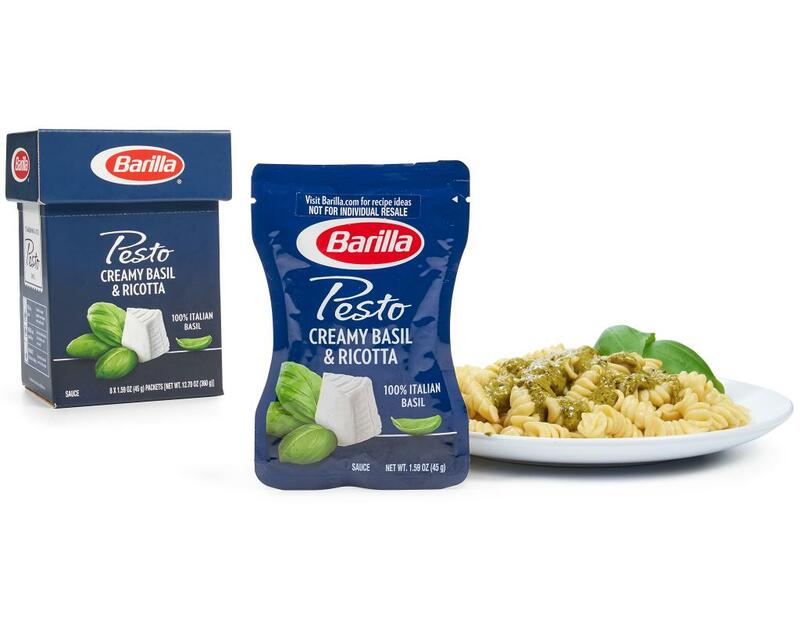 Barilla's delicious Creamy Ricotta & Basil Pesto is great for pasta, spreads, and dips. 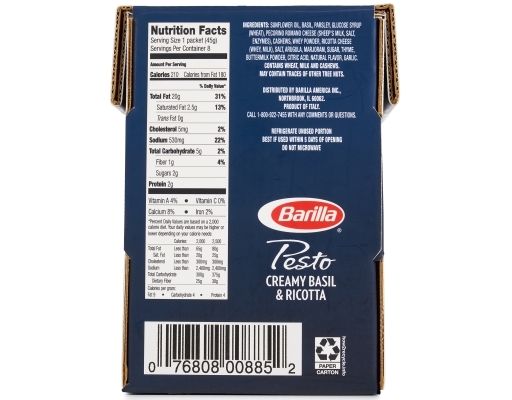 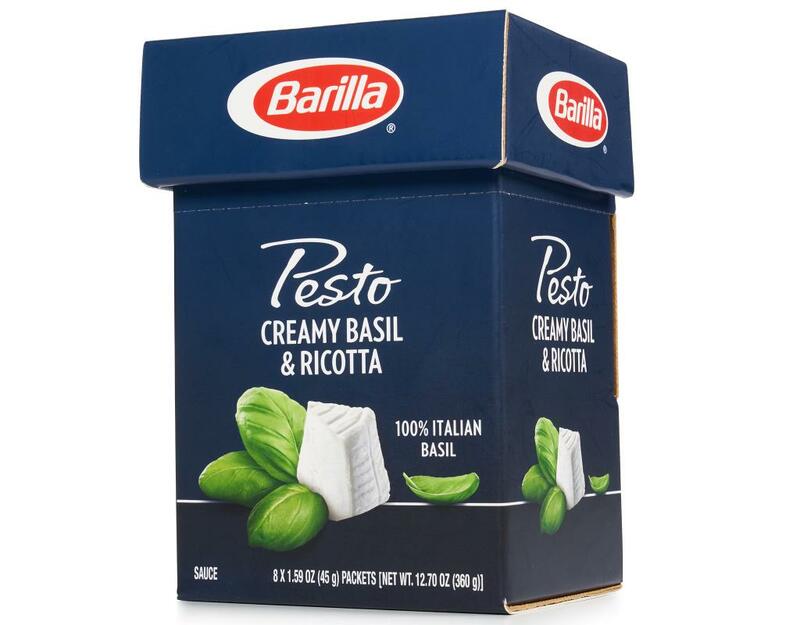 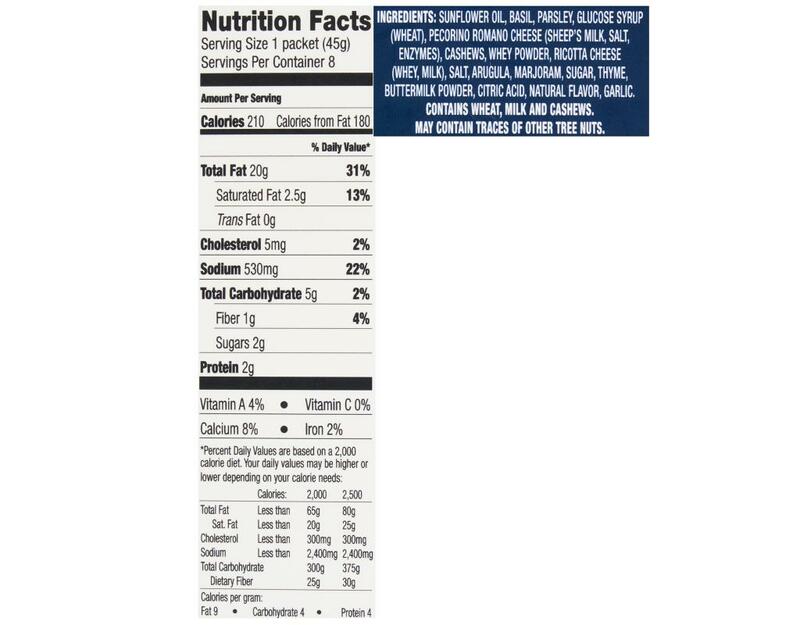 Barilla creamy basil pesto has a smooth texture and a mild cheese flavor. You will love the creamy texture and mild flavors in this twist on the classic basil pesto. 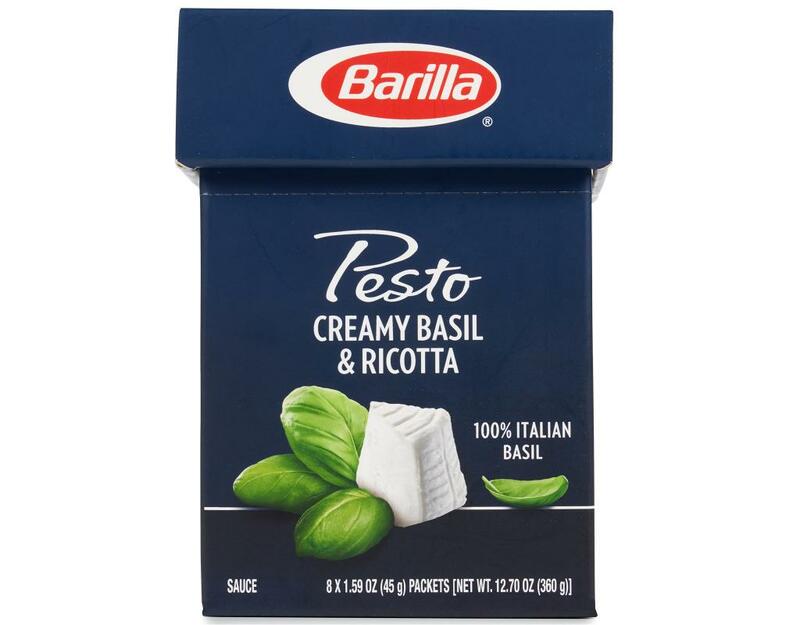 Stir through your favorite pasta, spread on pizza and sandwiches, or simply use as a dip. Since its beginnings in Parma, Italy, in 1877, four generations of the Barilla family have been passing down the secrets to producing great quality pesto. 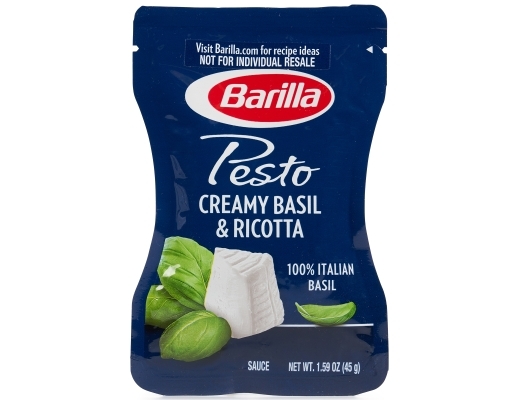 Barilla's delicious Creamy Ricotta & Basil Pesto is great for pasta, spreads, and dips. 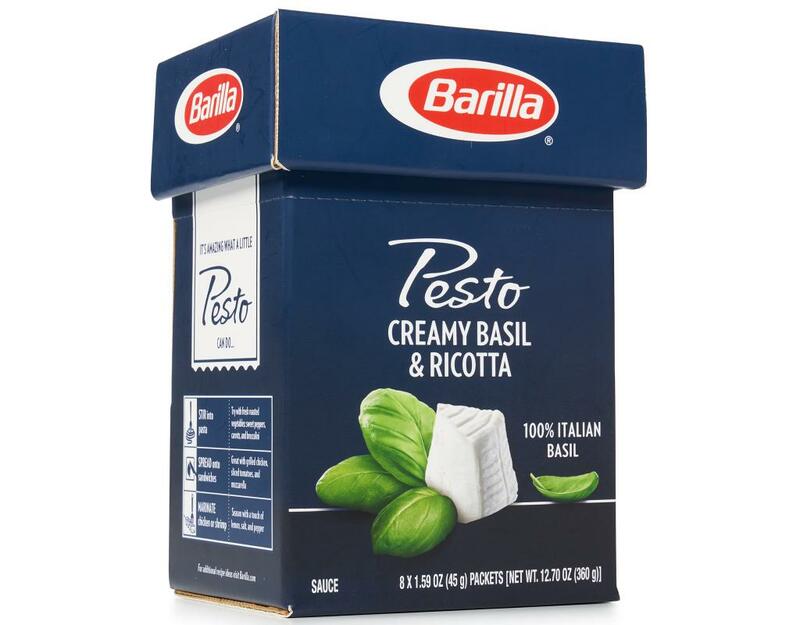 Lightly whisked for a smooth and creamy texture without any added cream, Creamy Ricotta & Basil Pesto is made with high quality ingredients like 100% Italian basil and freshly grated Italian cheeses to create a rich taste that is sure to please your palate. 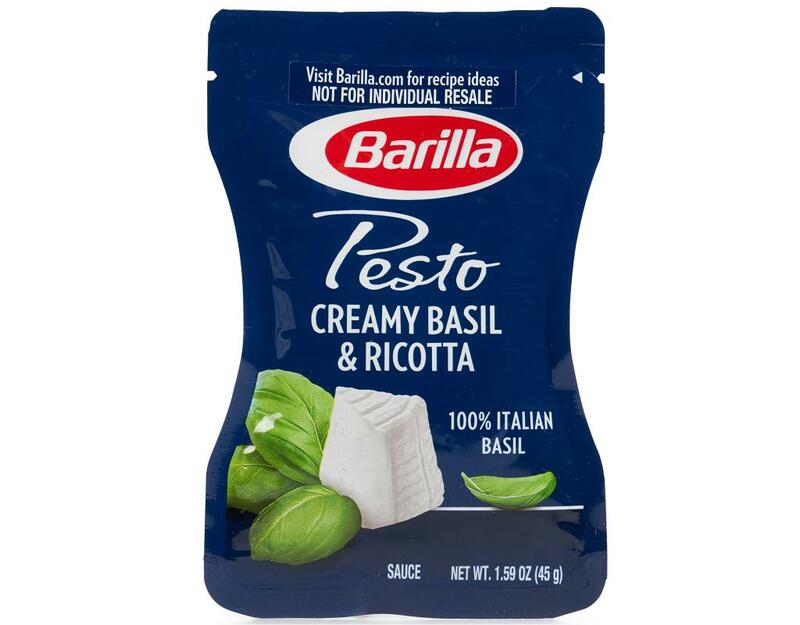 Creamy Ricotta & Basil Pesto is made with non-GMO ingredients.